Do you remember the OnePlus X? It was a cheaper handset than the flagship OnePlus line, which launched in 2015, and we never saw a follow-up handset from the company. New rumors of a OnePlus X2 started up today which you may have seen circling around the internet, but now OnePlus co-founder Carl Pei has confirmed the company isn't working on the new handset. 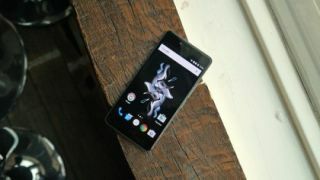 Back in June 2016, OnePlus confirmed to TechRadar that it wouldn't be making a follow-up to the OnePlus X, and that still seems to be the case. Pei subtweeted a story about the rumor on GSMArena and said 'nope' alongside a shrugging man emoji, which seems to confirm the phone isn't coming in OnePlus's line up. The rumor came from 'a person aware of OnePlus plans' and posited the phone would have a 5.5-inch display, Qualcomm Snapdragon 835 chipset, 4GB of RAM and the option of either 32GB or 64GB of storage. They also claimed the Face Unlock feature from the OnePlus 5T would be available on the phone and it would have a single 16MP shooter on the front with a dual-sensor camera on the back. None of that matters now though as Pei has confirmed it won't be coming out in at least the foreseeable future. Considering the OnePlus X is now over two years old and this company often updates its phones every six months, it would make sense that if the brand wants to bring out a more affordable line of handsets it will start again with a whole new brand anyway. Are you excited about the OnePlus 6?